Climate change, increasing electricity prices and the need to move towards sustainability is causing companies to innovate, develop and implement energy saving technologies such as the solar energy monitoring software that helps homeowners and businesses to monitor their energy consumption and production. It is a general rule of thumb, that if you cannot measure it, you cannot save it and as a result, some companies have invented software applications that can enable your household or business to monitor its energy usage and production on an online platform using computers or software applications (apps). How to conserve solar energy — Solar energy monitoring. Why would you want to track your solar energy use or production? Solar energy monitoring as well as energy monitoring is being used to help homeowners and businesses monitor their energy consumption as well as onsite solar energy production in a real time basis. This solar energy monitoring is different from that provided by your electric meter provided by your utility company, because this meter only show your total energy (in kWh) consumed. Also the utility electric meter is usually designed for your utility company to read it. However, for conscious energy conservation homeowners or business owners that might want to measure their energy usage or production from their solar panels; a new technology now exists on an app or web portal, smartphone, tablet or even computer that can enable you to check your solar energy use and production on a daily, weekly or a monthly basis. You can also check your average energy usage either from your solar power system or any other source of on-site distributed energy system or even your power from your utility company. Also, this technology is able to monitor your energy consumption in your home from anywhere, anytime by use of a computer software. Why do you need an energy monitoring system? To determine how large a solar electric system that is needed for your home or business. 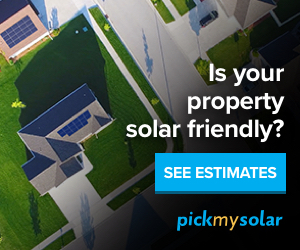 To determine how much solar energy you are producing at your facility or at your home. To determine how much energy from the utility you are saving with your solar energy system. To determine the size of a backup generation (this could be a solar back-up generator) that you might need when you experience power outages. To determine your biggest electricity loads in your home or business. To determine in real application whether solar panels are worth your investment or answer the question: Are solar panels worth it? To sum it up, for the solar enthusiasts, the solar energy monitoring system is used to help you determine how your solar panels are performing while checking your solar energy generation in real time. Having this system is beneficial as it helps you check your energy use versus solar energy generation on an app or web portal, smartphone and tablet while you can monitor your energy consumption in your home or business from anywhere anytime through this monitoring system. One of the solar energy monitoring systems out there that you can use is the Energy Detective (TED). This energy monitoring tool can be used to monitor energy from solar and wind installations for both residential or commercial places. The TED tool provides a comprehensive view of your electricity PRODUCTION, as well as your electricity CONSUMPTION — and provides you with your NET USAGE information … all in real-time. You can also view your data locally or remotely. To get your TED Solar Energy System today, click here. Current Transformers (CTs) sensors are clamped onto the live feed cable or around the main incoming wires which are located inside the breaker panel. This is normally done to provide or give an accurate electrical reading of the amount of power a home or business facility is using at any given time. TED’s clamps are sensitive to one watt with a +/-1% accuracy. Inside the breaker panel, the CTs are directly connected to a Measuring Transmitting Unit (MTU) that sends the data via Powerline Carrier Communication that travels over the existing power lines and hence no additional wiring is needed. Data is then instantly collected, analyzed and stored through an Energy Control Center (TED Pro Series) or Gateway (TED 5000 series) which is the data-receiving hub that analyses and stores real-time electricity data. As a result, this device is able to connect to any computer or router because it is embedded with footprints data-logging software. Results can then be viewed on Computer or Handheld Display through an optional wireless or wired display that can be purchased to view real time data. TED can also connect directly to a computer or router in order to access data. Also through several third party apps, TED allows users to also view data locally and remotely on a mobile platform or device. For solar enthusiasts that have not gone solar, switching to solar today is highly simplified and you can get started using this solar panel cost calculator to give you your specific energy savings that you could save when you switch to solar. This tool narrows it down to your specific roof using google maps telling you how much you can save with solar energy. Also, here you will learn about why solar panels are worth your investment or answer the question: Are solar panels worth it? Learn more here to start the process of switching to solar PV.